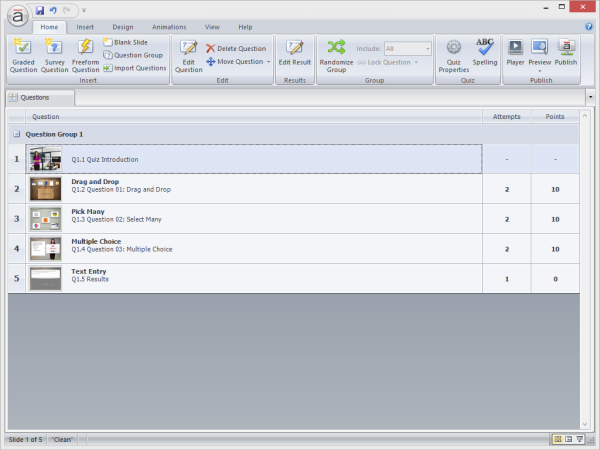 In Articulate Quizmaker, the question list is where you manage the slides in your quiz. Click the Question List icon in the lower right corner of the screen. Click the Questions tab on the left side of the screen, just below the Quizmaker ribbon. In Slide View [link to tutorial], go to the View tab, and click Question List.